Fairfax Women’s Club, 46 Park rd. 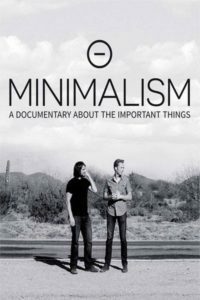 The film Minimalism: A Documentary About the Important Things examines the many flavors of minimalism by taking the audience inside the lives of minimalists from all walks of life -- families, entrepreneurs, architects, artists, journalists, scientists, and even a former Wall Street broker -- all of whom are striving to live a meaningful life with less. Speaker: Scott Hanan will share his version of Minimalism and how it has enriched his life, followed by a conversation with the audience. We will talk about the hurdles many of us face when trying to reduce clutter and consumption, and some possible solutions. COSTUME COLLECTION: Clean Out Your Halloween drawer and bring your used costumes for others to enjoy! Spend an evening with today’s young leaders! 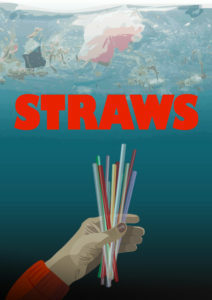 An evening of Videos on Award-Winning Youth Activists followed by a panel of Marin Youth Environmental Leaders. Find out how they transformed ideas into action and what you can do to support them. 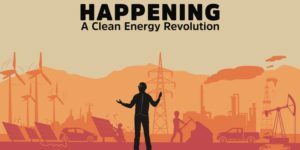 On Friday, March 23, join Sustainable Fairfax for a screening of the inspiring film HAPPENING, A Clean Energy Revolution followed by a discussion with our special guest, Filmmaker James Redford. Fairfax Climate Action & Marin Clean Energy will provide opening remarks. In the film, James embarks on a colorful personal journey into the dawn of the clean energy era as it creates jobs, turns profits, and makes communities stronger and healthier across the US. SPEAKER: FILMMAKER JAMES REDFORD. James is the co-founder and chair of The Redford Center, a non-profit media entity that engages people though inspiring stories that galvanize environmental action. Among many of its functions, the center’s documentary film projects include WATERSHED, FIGHTING GOLIATH and THE ART OF ACTIVISM. Please contact SustainFX@gmail.com with questions about this event. RiverBlue spans the globe to infiltrate one of the world’s most pollutive industries, fashion. Through harsh chemical manufacturing processes and the irresponsible disposal of toxic chemical waste, one of our favorite iconic products has destroyed rivers and impacted the lives of people who count on these waterways for their survival. RiverBlue brings awareness to this issue, and demands significant change in the textile industry from the top fashion brands that can make a difference. Our speaker, Rebecca Burgess, founder of Fibershed, has created a model for a local textile economy, developing a network to support regionally grown and created clothing, and promoting “soil to soil” textile processes. Rebecca is also the author of the best-selling book Harvesting Color, a bioregional look into the natural dye traditions of North America. This evening is sponsored by Sustainable Fairfax and the Parks and Recreation Commission (PARC).